The U.S. Securities and Exchange Commission (SEC) is pursuing a contempt order against Tesla Inc CEO Elon Musk, saying he violated a fraud settlement by tweeting material information without pre-approval, sending the firm's shares down 5 percent. The SEC's request potentially could reopen a turbulent chapter for the electric vehicle maker in which regulators last year accused Musk of fraud for making misleading tweets about plans to take the company private, and demanded that he be stripped of his CEO title. In a court filing on Monday, the regulator pointed to a Musk Feb. 19 tweet: "Tesla made 0 cars in 2011, but will make around 500k in 2019," noting that Musk did not seek or receive pre-approval before publishing this tweet, which was inaccurate and disseminated to over 24 million people. Tesla did not immediately respond to a request for comment, but Musk shot back on Twitter on Monday night, tweeting: "SEC forgot to read Tesla earnings transcript, which clearly states 350k to 500k. How embarrassing …". Musk was referring to comments made by him in January to analysts that Tesla would make "maybe on the order of 350,000 to 500,000 Model 3s, something like that this year". Musk provoked the SEC even after the settlement was signed, calling the agency the "Shortseller Enrichment Commission" on Twitter in October. In a December interview with "60 Minutes", Musk said none of his tweets had been censored since the settlement, and that only those that could cause Tesla stock to move would need to be reviewed. "I want to be clear. I do not have respect for the SEC," he said, adding that he respected the justice system. "It’s a pretty unusual situation," Diamond said, adding that "all bets are off". Tesla's board has added new members as part of the settlement, moves that some outsiders hope will increase oversight of Musk. Board member Robyn Denholm also was made chairwoman after Musk was stripped of that role, but she has not commented on the new incident. 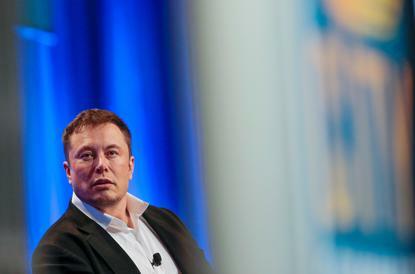 Charles Elson, director of the corporate governance center at the University of Delaware, said Tesla's board "needs to seriously reconsider the company's relationship with Mr. Musk". "The board needs to act. End of story. And if they don’t, the question is how responsible are they?" Reporting by Akanksha Rana, Ankur Banerjee and Rama Venkat in Bengaluru, Jan Wolfe in Washington and Alexandria Sage in San Francisco; Editing by G Crosse and Muralikumar Anantharaman.